Most of you will have already gotten my email before you make it over to here, but just in case I’ve got some people who stop by before the email goes live tomorrow morning, I’m doing a Kickstarter project to see if I can pre-sell enough copies of my next book to let me keep writing rather than going back to accounting. You’ve got the project above, and here is the link to the video we put together for the project (embedded below). This entry was posted in Uncategorized on December 23, 2016 by Dean. Hidden Realms has all of this along with mermaids, shape shifters, demigods, fae, demons and half-breeds with even darker inheritances. There’s love, both forbidden and true, and there’s all the sacrifice it takes to keep it. 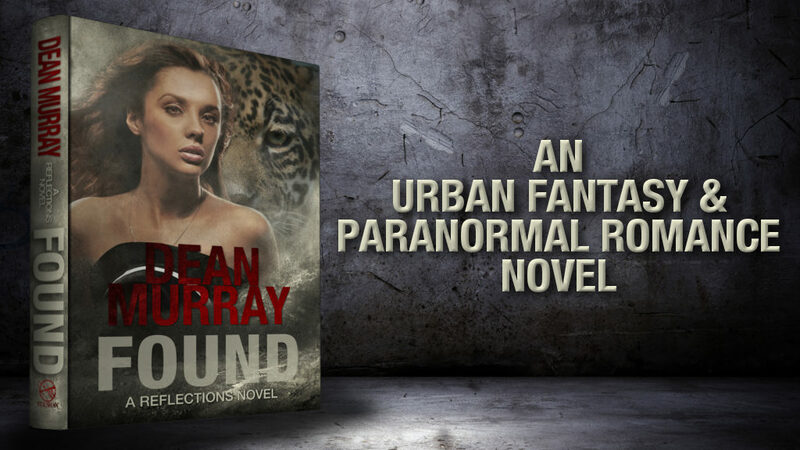 Regardless of what your preferred flavor of paranormal romance or urban fantasy actually is, there is something in this collection of 10 novels that will knock your socks off. 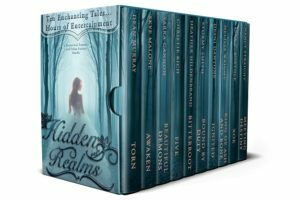 Hidden Realms contains multiple books that are otherwise only available for $2.99 or more, and Hidden Realms is available for FREE–but only for a limited time! Shape shifter Alec Graves has spent nearly a decade trying to keep his family from being drawn into open warfare with a larger pack. The new girl at school she seems to know things she shouldn’t about his shadowy world, and the more he gets to know her, the more mysterious she becomes. Chloe had never been to the ocean, and now one simple vacation has altered her life forever. Her body is changing in bizarre ways, a mysterious boy is following her, and she’s become the target of killers too. Ancient and deadly secrets surround her and it’s going to take everything she has to discover the truth. Charlie and Regan Vuk have secretly always wanted a sister. Now, they finally found each other, only to be forced into a head to head contest for pack alpha. A competition that threatens to destroy their new bond and 1 sister’s chance for true love. Bitterroot is a 3-part Young Adult Paranormal novella series with a dose of sibling rivalry… Who will you root for? When monsters break through the veil between worlds, Mackenzie Scott devises a plan to stop them, whatever the cost. She finds an injured stranger who just might hold the key, but he’s not the helpless boy he appears to be. He’s one of them, and he’s got plans of his own. This entry was posted in Uncategorized on November 2, 2016 by Dean. I usually announce winners of my giveaways through my mailing list, but I’ve been sending out a ton of emails lately and I know I’ve got some more that need to go out pretty soon, so it seemed wisest to go ahead announce the winner of the $50 gift card (in association with the release of The Warlord) here on my blog. I’m pleased to be able to announce that Cuyler C. from Alberta Canada was the winner this time around. I’ve just hit send, so the gift card should be arriving in his inbox momentarily. Congrats, Cuyler–I hope you enjoy The Warlord as much or even more than you enjoyed The Society and The Destroyer! This entry was posted in Uncategorized on October 6, 2016 by Dean. 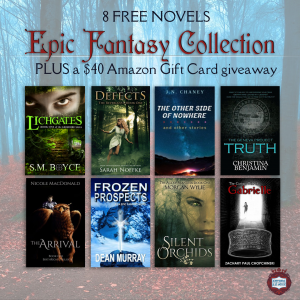 A Slew of Free Books! J.L. 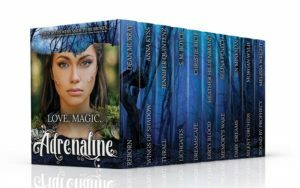 Hendricks, another writer who also happens to be a big fan of the Reflections series, has put together two big lists of free romance books and urban fantasy books that you can get through InstaFreebie. I haven’t read the stuff on the list, but there are definitely some intriguing books there that I need to check out once I get all of these multi-author bundles done. A big thanks to J.L. Hendricks for both mentioning a couple of my books in her posts and for the glowing endorsement/recommendation she included of Broken and the rest of the books in the Reflections Universe! This entry was posted in Uncategorized on October 1, 2016 by Dean. I have a ton of catching up to do now that i’m back from SLC Comic Con (more on that later), but I wanted to take a few moments and make sure that any of you who aren’t on my mailing list (you really ought to consider signing up) know that I have just finished putting together a multi-author bundle. These are great ways to find a ton of new authors, especially since I did so much of the hard work wading through dozens of books looking for stuff that I thought you all would like. Tastes and individual preferences being what they are, I suspect than not all of you will like everything in the bundle, but across so many excellent books there should be something for just about everyone and likely for most people there are multiple great books in here that you’ll be glad you had a chance to read. So, please take a moment to grab a copy of your own from wherever it is that you normally get ebooks! This entry was posted in Uncategorized on September 6, 2016 by Dean. As many of you know, I’m at the Salt Lake City Comic Con this week. I’m exhausted and given that tomorrow is an earlier start even than today was, I should be in bed asleep already, but I met an awesome reader today (along with her mom and sister) who totally made my entire day. We got pictures together and then it wasn’t until after the three of them had walked away that I realized that I should have asked to get a copy of the pictures as well (nobody but my daughters have ever been that excited about getting a picture with me before and I suspect even my girls are even starting to think that Dad isn’t as cool as he used to). So apologies for not thinking to have someone get a picture of us with my phone while we were at it. If you’re going to be an the convention again tomorrow (and you happen to read this) I’d love for the three of you to stop by my table again, or failing that for you to email me a copy of the photos you took of us. I’m meet a ton of really nice people over the last two days, but the three of you have definitely been the high-point of the experience so far! This entry was posted in Uncategorized on September 3, 2016 by Dean. This is super late notice and I’m so sorry. Comic Con prep was way more involved than I was expecting it to be and then once I got here and the con started up I was shocked at just how involved and draining everything was. Here’s the next of those multi-author giveaways that I mentioned in my last email–apologies that I didn’t get the link posted until there was only 24 hours left. Some great books in the bundle there and a $65 gift card up for grabs. This entry was posted in Uncategorized on August 17, 2016 by Dean. I can tell already that this is going to be a tougher status update to write than most of the previous ones have been. The last few months have been incredibly busy, but most of the work has been foundational in nature, which means it doesn’t feel like I have a ton to show for all of my effort. Firstly, in case you missed the last email I sent out, we had our third child in June, and while he’s been a great sleeper, a good eater, and Katie has been a trooper, there has been some unavoidable disruption to my work schedule. We’re all glad to have him, and I knew going into things that there would be a disruption there for me this summer, but I ended up being much busier than expected on the marketing side of things, which meant that the disruption (from the writing side of things) has been a lot more extensive and lasted a lot longer than I’d been planning on. On the editing side of things, there are a few more moving pieces than I’m used to (for reasons which will become clear as I release my next few books), which means that the editing is starting to stack up. Currently I’ve got Dystopian #3 (The Warlord) back from my editors and out to my advance readers. I haven’t heard back from all of my advance readers yet, and I think I’ve still got a few edits from those that I have heard back from that I need to get into the current master file, but if I can shake loose a solid half day or so to dedicate to finishing off the edits and formatting the various formats that the retailers need, I’ll be able to get The Warlord off to my Launch Team, at which point it will be 6 weeks or so from going live. The Founder (Dystopian #4) has been through the first few rounds of edits, including the edits from RJ, which means it just needs to go through the last round of edits and then it can go out to my advance readers. Under normal circumstances I would say it was 3 months from going live. With the current backlog of work on the marketing side of things (more on that below), I can’t say for sure how long we’re actually going to be looking at, but it’s a safe bet at this point that it will be more than 3 months. Finally, the rough draft for The Desolation (Dystopian #6) is finished, but still needs my editing pass before it can go off to my proofer. I think I mentioned this in one of my past updates, but The Desolation is a monster. It came in at ~213k words, and is far and away the biggest book I’ve ever written. As I was writing it I kept thinking that I needed to find a stopping point and break it into more than one book, but the action was coming too fast and furious, so I just continued writing and figured that I would leave that question for post-production. I’ll still be looking for a break point or points to split The Desolation into two or three books if possible, but it may very well end up shipping out as one book. In spite of having many more books out than I had at the beginning of 2014, this year has been the lowest sells wise since we ended 2013, which has necessitated some changes with regards to how I spend my time as compared to how I was planning on spending my time. In 2016 I’ve spent quite a bit of time and money on Facebook ads with very mixed results, and was frankly running out of ideas when a fellow author who has experienced a significant drop in sells of her own books recently figured out that her drop in sales matched up very well with the multi-author bundle she was in being pulled down. It was like a lightbulb went on for me. I went back through my records and realized that my Facebook ads had corresponded almost perfectly with the 6 months that the first bundle I organized was free, and I’d most likely mistaken a significant percentage of my sales as being from the Facebook ads when in fact they had more than likely been because of the bundle. I tend not to do things by half measures, and I desperately want to be able to continue writing full time into 2017 and beyond, so I’ve jumped into the process of organizing additional bundles with everything I have. Currently I have 5 bundles that are in various stages of being organized and prepared to go live. I’ve pulled together a group of dozens of very talented authors, and I’m hand picking each book that goes into all 5 of the bundles. When those five bundles, consisting of 50 different, amazing stories go live, I’m hoping that things will jump up to the point that Katie and I can commit to another 12+ months of full-time writing. The best part about the bundles is that while they are super time intensive to organize, the authors I’ve pulled together believe in what we’re doing so much that they’ve all committed to a 12-month term for the bundle so with any luck the bundles won’t just be a flash in the pan kind of thing, they should drive additional sales and excited new readers for a full year, which will mean that I can get back to spending less time marketing and more time writing—I would really like to finally have a year where I hit a million new words. Things have changed so many times in the last 10 months that I couldn’t say for sure what the original plan was, but really it’s the timing of things that has changed rather than the order of the books I’m going to work on. Most recently I was planning on marketing and helping out with the baby in July and August and then getting back to writing in September. October was to be an editing month, followed by another book in November and another editing month in December. Part of me still hopes to do that around organizing the multi-author bundles. I really want to write a book in November so that I can participate in NaNoWriMo, but it’s increasingly likely that September will primarily be spent finishing off bundles and catching up on editing. Possibly if things go well I’ll try to just write in October and November both and finish off the Compelled Chronicles in one long stretch, after which (assuming that I’m still able to continue writing full time) I’ll read through all of the Reflections and Dark Reflections books and then start in on a whole slew of new books with Alec, Adri and all of the rest of the crew in both timelines. It’s not as good on the production side as I was hoping for when I started the year, but the release of Left at the very beginning of this year means that I’m still coming through on my promise to release at least one Reflections Universe book each year in spite of all of the other projects I took on to try and ensure that we can continue writing for many years to come. This entry was posted in Uncategorized on August 10, 2016 by Dean. 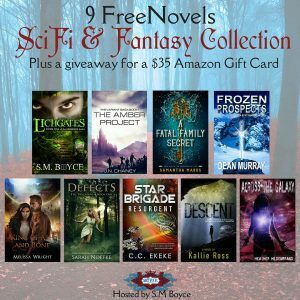 I really need to do another status update, and probably an email, but if you’re in the mood for some Fantasy or Science Fiction books, here’s a chance to pick up a bunch for free and enter to win a $35 Amazon gift card while you wait to hear what else is going on with the Murray household! This entry was posted in Giveaway on July 20, 2016 by Dean.